Euroregion “Country of Lakes” directorate office in Lithuania hereby invites representatives of local municipalities to participate in international training – the 3rd meeting of culture working group and experience exchange visit on October 31, 2018 in Molėtai, Lithuania. During the meeting colleagues from the Molėtai district will share the good experiences on organisation of educational activities and using of innovative solutions for cultural heritage promotion. There will be a discussion on possibilities for improvement, development and promotion of cultural and heritage products in both Lithuania and Latvia. The discussion will also help to reach a closer cooperation between the municipalities of East Aukštaitija and Latgale in organising and publicizing cultural events or activities and so attracting more visitors from both Lithuania and Latvia. 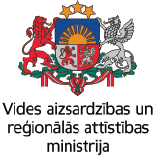 The aim of the event is to strengthen interregional cooperation between municipalities of Latvia and Lithuania and to discuss, how to make improvements in the capacity of employees in culture-related industries and seek the development of both regions. The event is organised within the framework of Interreg V-A Latvia-Lithuania Programme 2014-2020 project LLI-59 “The Cycle of Practical Training and Events Fostering Cooperation between Institutions and Capacity Building of Employees” (acronym “Open Leadership”, No LLI-59). We kindly ask to inform the organisers of the event about the participants by sending an e-mail to Laura Pajarskaitė, ezeru.krastas@ignalina.lt, by October 30, 2018. Here is the agenda of the meeting: LLI-59 Agenda 31.10.2018.